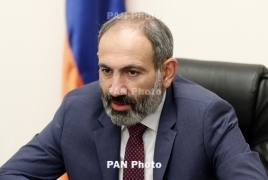 PanARMENIAN.Net - Relations with Russia are of special importance for Armenia, Prime Minister Nikol Pashinyan has said in an interview with the Defense Ministry’s Zinuzh (Armed Forces) program. In the interview, the Prime Minister has also weighed in on the fighting capacity and the build-up of the Armenian Armed Forces, the mechanisms of the settlement of the Nagorno Karabakh conflict, as well as issues concerning Armenia-Russia cooperation and the activity of the Collective Security Treaty Organization. The program will air on Saturday evening. Pashinyan is set to meet Russian President Vladimir Putin in Moscow on Saturday.